The goat pic is comical. These are all wonderful pics. What a bunch of characters you truly have! Loved your post yesterday and cried too hard to type so I’m letting you know today how happy I am for you and Don that the little guy is finally coming around and starting to trust you. What a big happy herd. Such lucky, lucky Boyz (and Ladygirl 🙂 ). 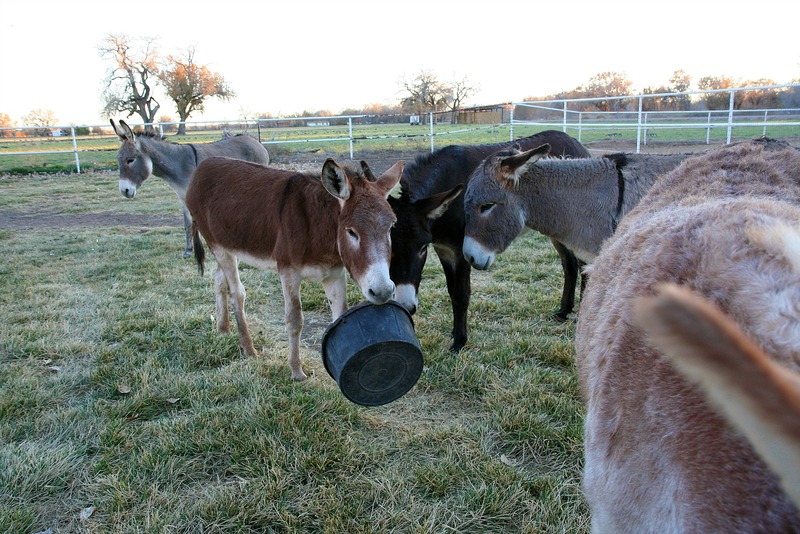 Happy burros and humans! There must be a Buddha quote that covers that, too. 🙂 Thanks for sharing!! I really enjoy coming to your blog and seeing such happy critters! Does gooberness increase by being shared? 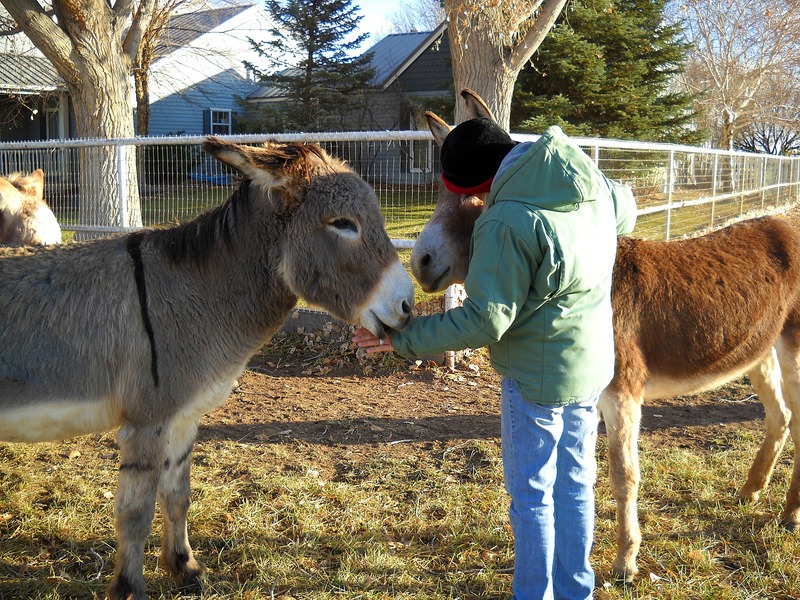 Thank you for taking the time to share your photos and your animals with us! 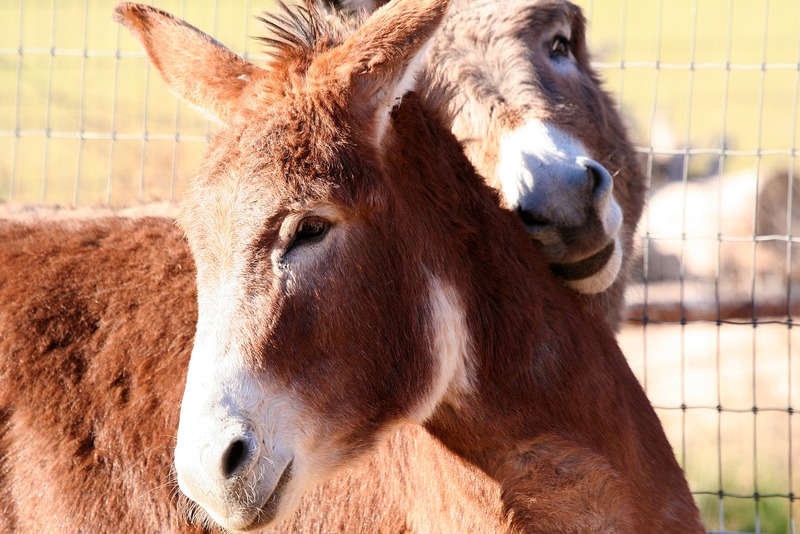 Love and donkey hugs for the wonderful photos. 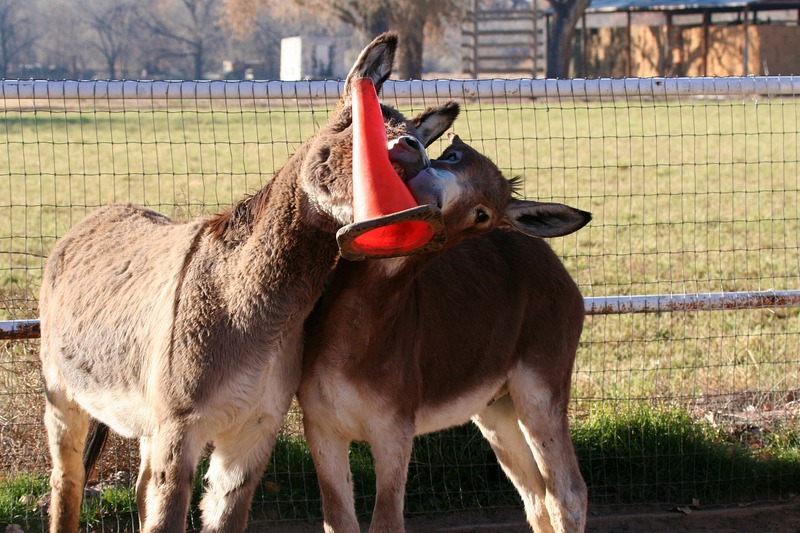 Hey herd…..you burritos are just too adorable…girl and boys joyous sharing is the best. I used the same analogy to explain to my first child how I could love the new baby and still love her. The candle demonstration REALLY helps a youngster to understand! 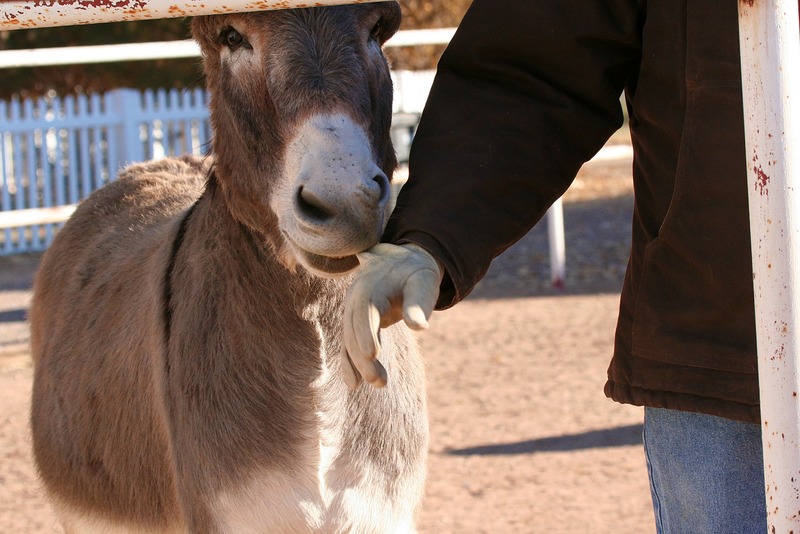 I am just beginning to find the joy in a Donkey! 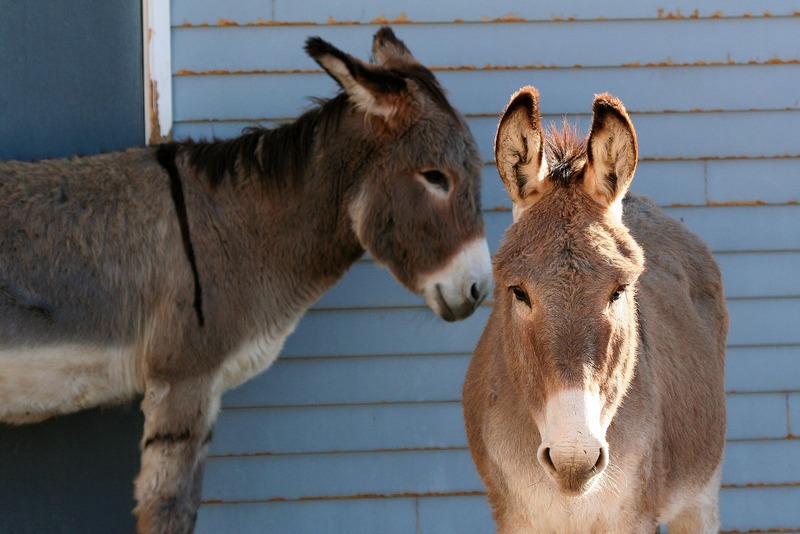 I love your posts, and look forward to your Donkey antics! Thank you! 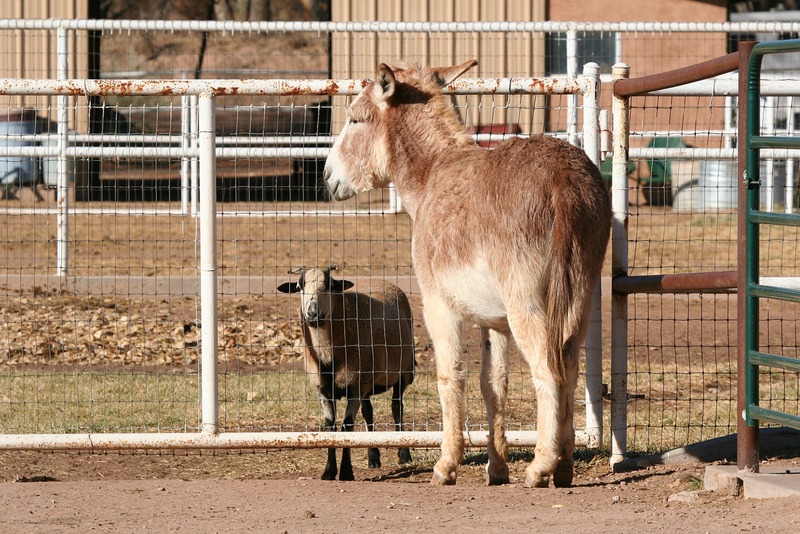 We just ♥ your herd. They are so lucky to have you, but then again, you are (obviously) so lucky to have them. 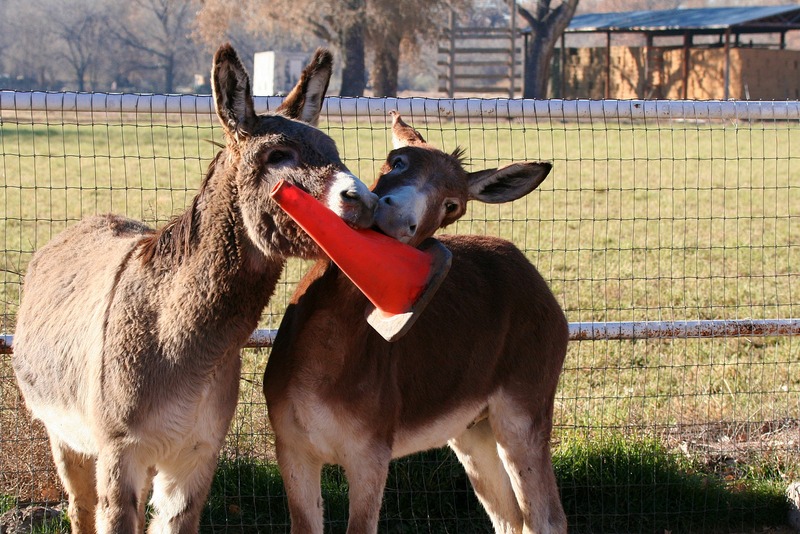 And again, i will say… totally jealous that your boys play with the cone!! The girls received one for Christmas last year, and avoid it like the plague… silly little girls! Merry Christmas to you and your adorable gang, from all of us with love!